If the TV's voice is low, you will love this structure! I don't know who invented it, but he was a smart man. Sound projectors can be very good when using flatbed. 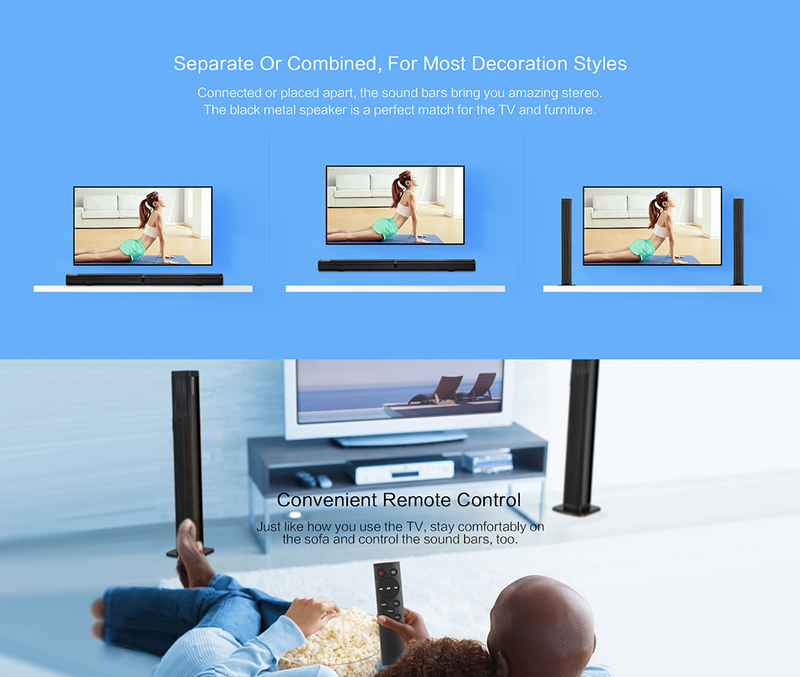 These televisions simply do not have the conventional speakers that can provide the right sound quality, or if the TV gets crushed, it will be expensive. A good sound projector fits nicely between the display and the table top, with the right audio volume and volume, and also has the ability to squeeze some bass and luck with a bit of space. Today's projectors have Bluetooth connectivity along with a cable connection, and in the best case they can not only transfer music from our mobile device, but also function independently as a radio. Well, Alfawise XBR - 08 knows all this, but more. This sound projector is combined with a bayonet lock in the middle, thanks to an ingenious solution. 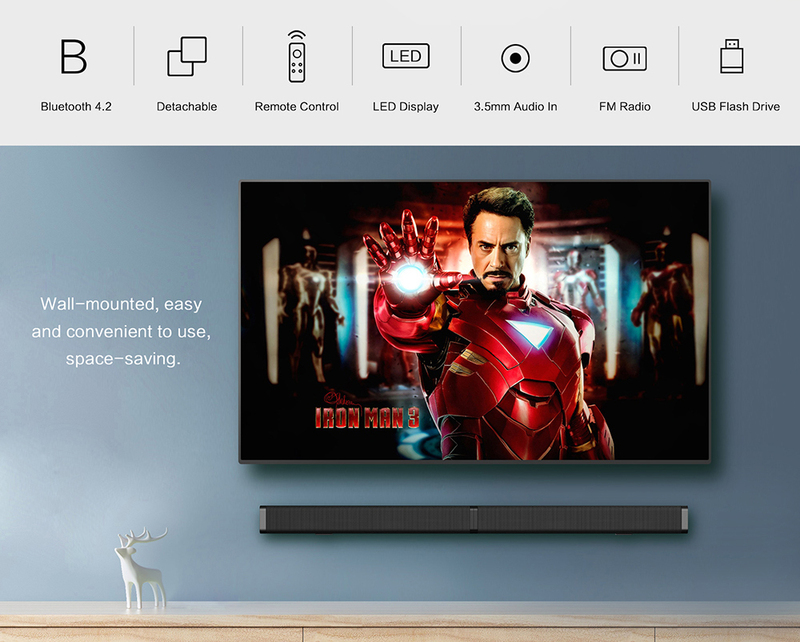 If you unscrew and mount the packs included in the package, you will be converted from the projector into mini speakers, which can then be placed on both sides of the television for better surround effect. If this is not enough for a third mode, the Alfawise projector can be easily mounted on the wall. 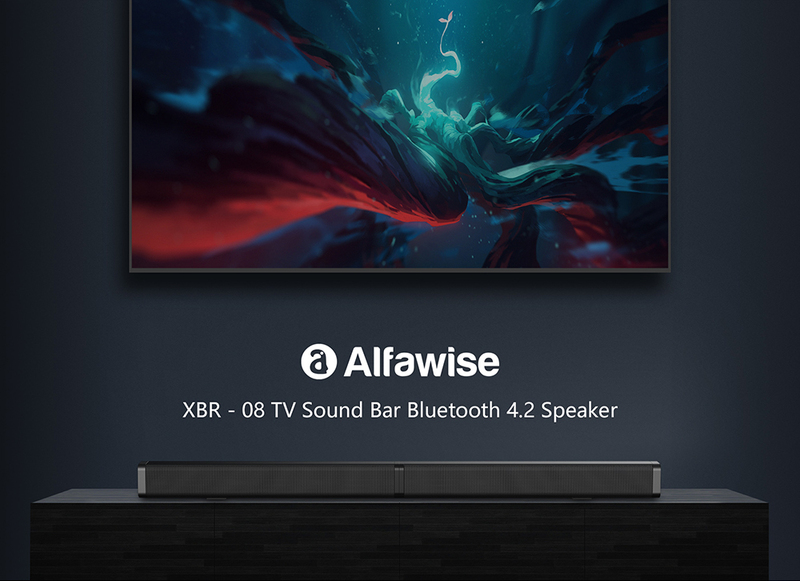 The Alfawise XBR-08 has got Bluetooth 4.2 connection, but it can also be connected to the TV via a flat audio cable or even an optic. The 4 ohm speaker has 40 watt power, which I think is plenty of home. It is also interesting that a radio-operated projector also has a memory card slot, so you can even use it as a mass storage device to keep your favorite music at hand. Remember to choose Priority Line for shipping to arrive without tax and VAT!